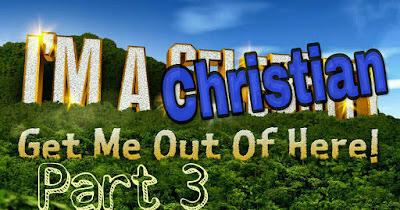 Part 3/4 of 'I'm a Christian... Get me out of here' or Surviving the Church. Wherever you Church community meets to worship, however big or small it is I can guarantee one thing...it is made of the same building blocks...weak, imperfect and flawed human beings....but your Church, wherever it is, whatever form it takes; is unique. It has one thing that no other Church in the world has...it has you! You are a living stone, and an amazing and unique part of the fabric and building blocks of your Church. So far in this series I've focused on the different backgrounds and reasons that bring us together in a Church community, as well the mission and focus of the Church. Today's post is a chance to look inwards at our individual places in the Church, the things that make us unique and vital to the Church's Mission. I know that some reading this may feel that their place in the Church doesn't matter or that they are unimportant, that they don't bring anything to the table...if that's how you feel; I understand, I really do...but it's simply not true. These are lies others tell us, or worse that we tell ourselves; this way of thinking is dangerous and keeps us from being the very best that we can be and from reaching our God given potential. You can't take that away from me"
No one is the same as you, and no call is the same, you occupy a truly unique place in your Church and community, one that no one else can take or fulfill...that's a comforting thought... But a challenge too; to be the best you can possibly be at whatever your called to be and do. To not let others sell you short or put you down, because God himself places you where He wants you...and surely His opinion is what matters. That's not to say don't take Notice of guidance and advice but remember where it is you've come from and who calls you. "Not called!' did you say? 'Not heard the call,' I think you should say. 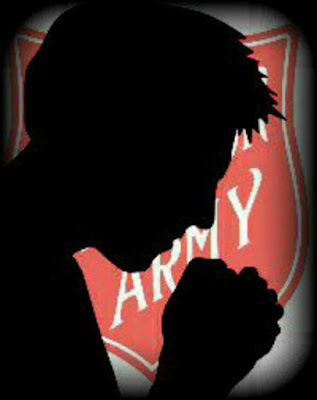 Put your ear down to the Bible, and hear Him bid you go and pull sinners out of the fire of sin. Put your ear down to the burdened, agonized heart of humanity, and listen to its pitiful wail for help. Go stand by the gates of hell, and hear the damned entreat you to go to their father's house and bid their brothers and sisters and servants and masters not to come there. Then look Christ in the face — whose mercy you have professed to obey — and tell Him whether you will join heart and soul and body and circumstances in the march to publish His mercy to the world." Or will you let fears, anxieties and others lies get in the way and stop you being all you can be, and doing all you can do? As ever the choice belongs to you. And the decision could affect the entire future of the Church and it's Mission...so no pressure then! Always remain focused on who you are, where you come from, where you're going but above all remember your legacy as a child of God, beloved, guided, valued and called.